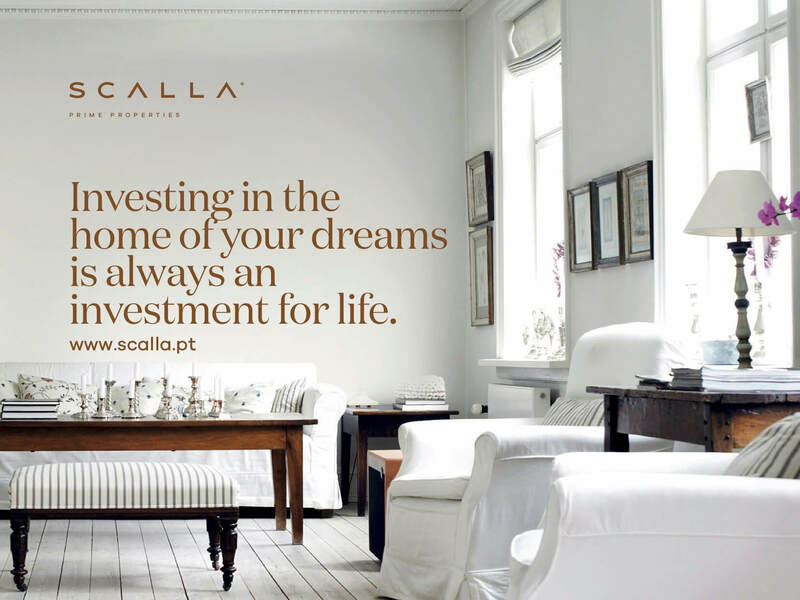 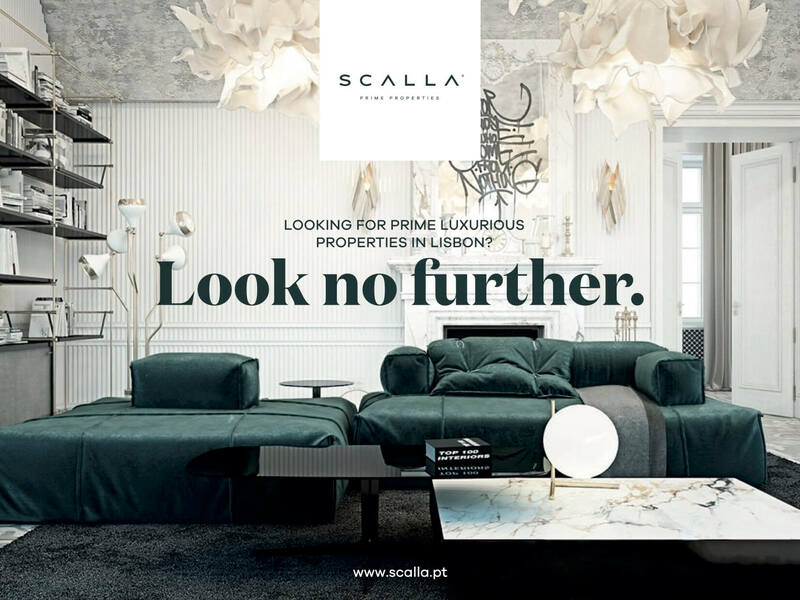 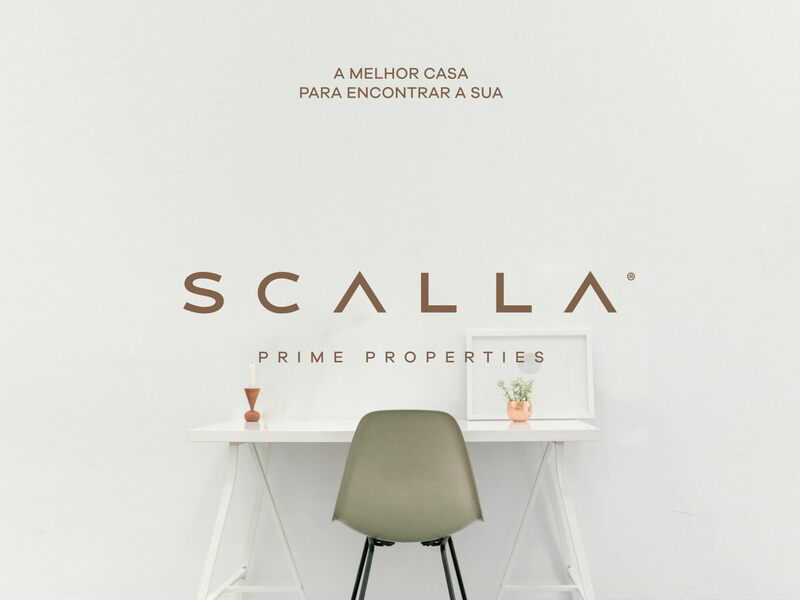 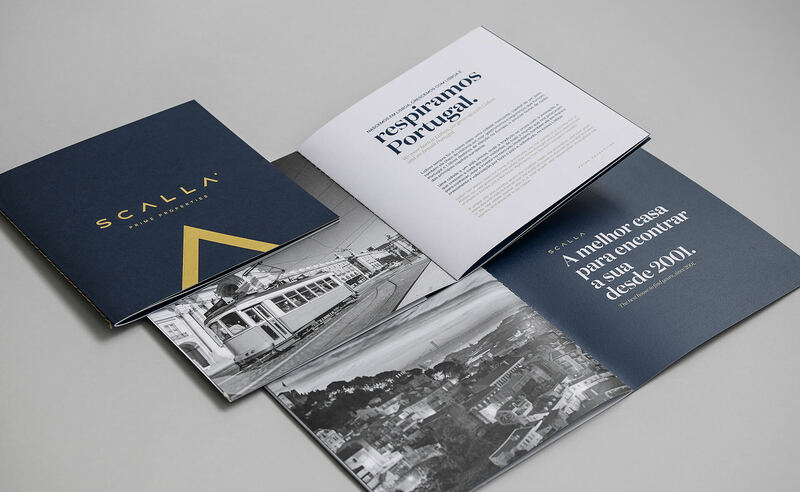 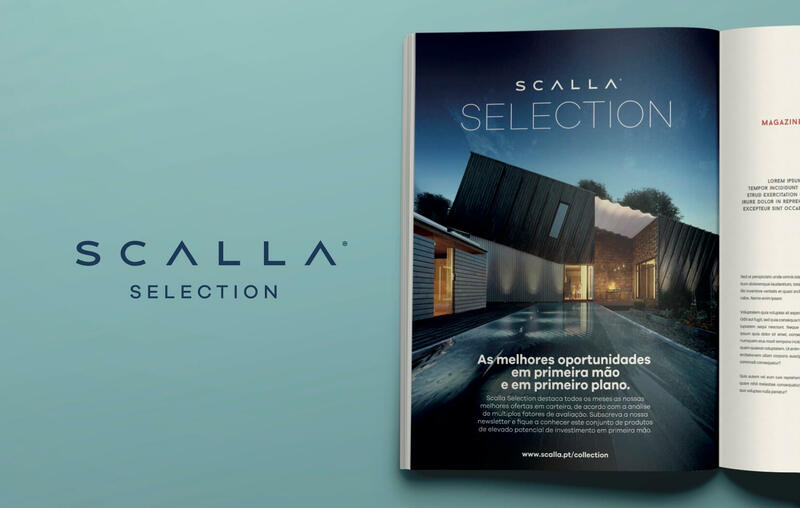 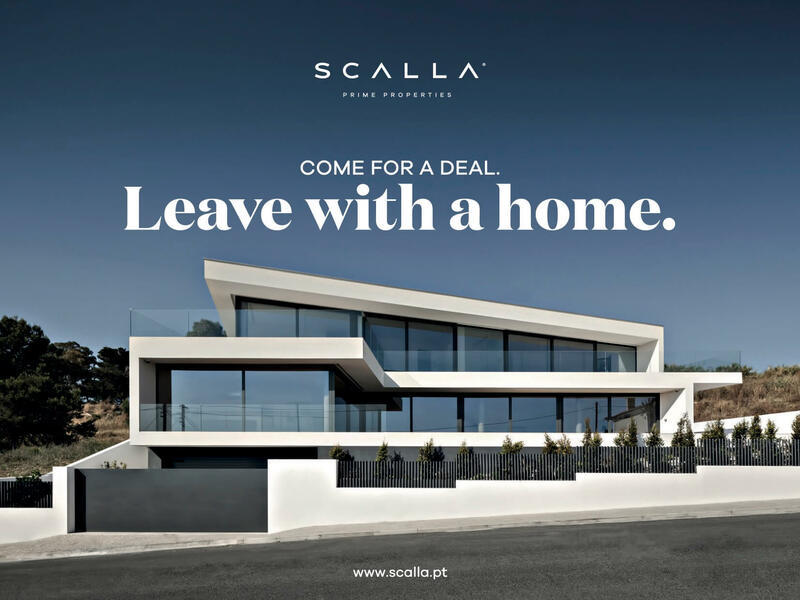 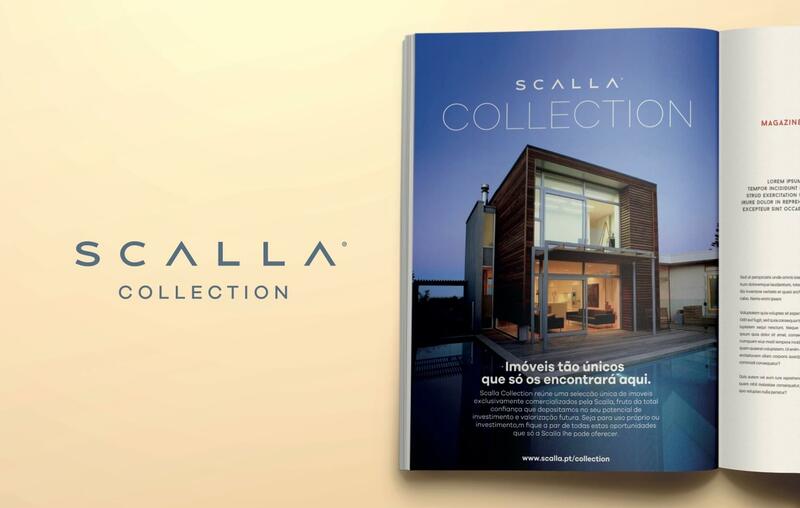 With over 15 years of experience in the Portuguese real estate market, Scalla® ambitiously moved its business to the heart of Lisbon to make a stand in the fast-growing prime segment of the market. 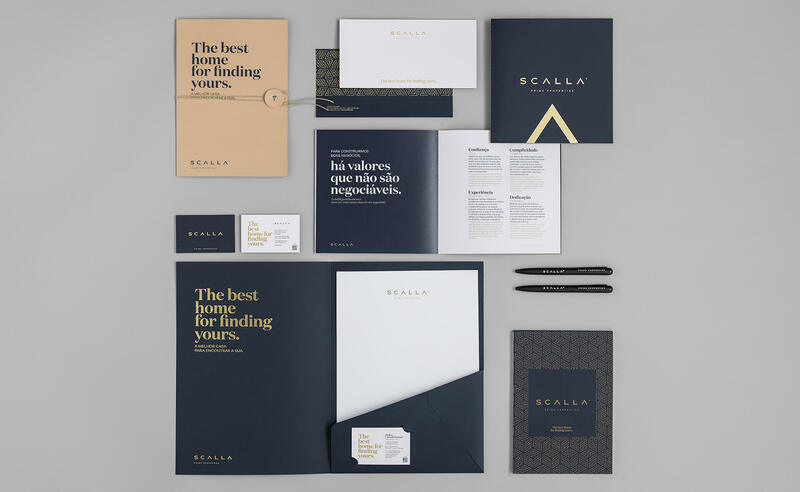 Their former brand was clearly outdated and an obstacle in their way, and a new, redesigned brand identity and positioning was, therefore, a strategic means for executing their vision. 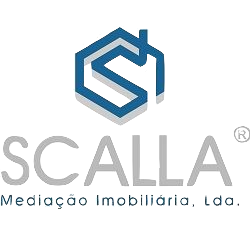 Scalla was clearly outdated and still related to the construction sector in which it started a decade ago. 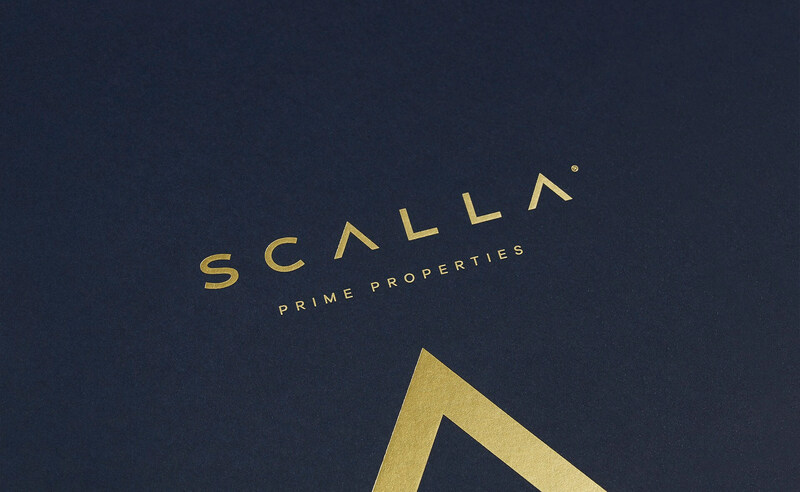 Besides the name, which was seen as a valuable asset to maintain, everything was meant to change in pace with their ambition to compete with the most exclusive real estate brands in the space. 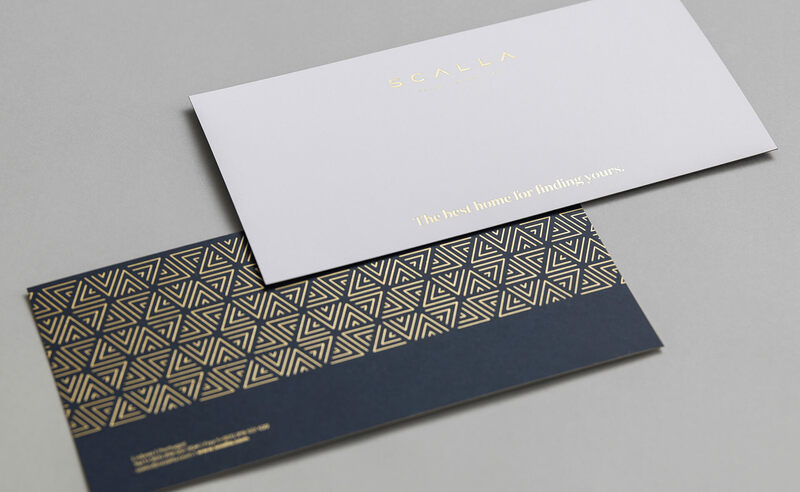 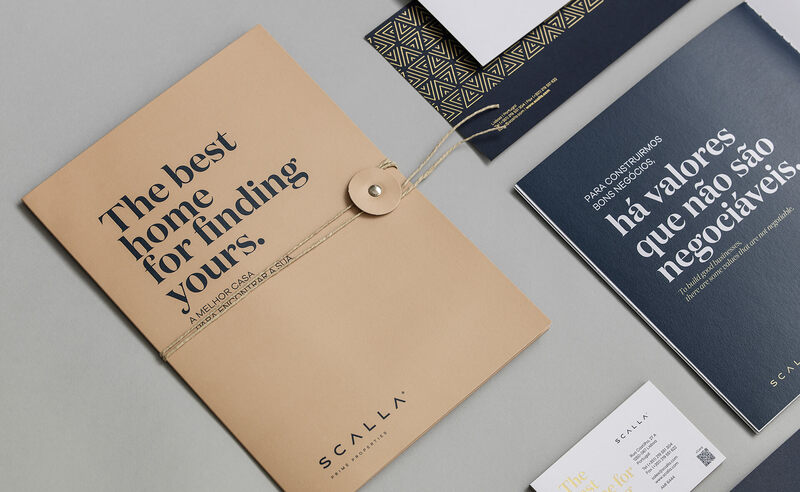 Sophisticated and minimalistic, Scalla’s new identity ignites a disruptive new path in the company’s history in a bold move to address a more exclusive and upscale market niche. 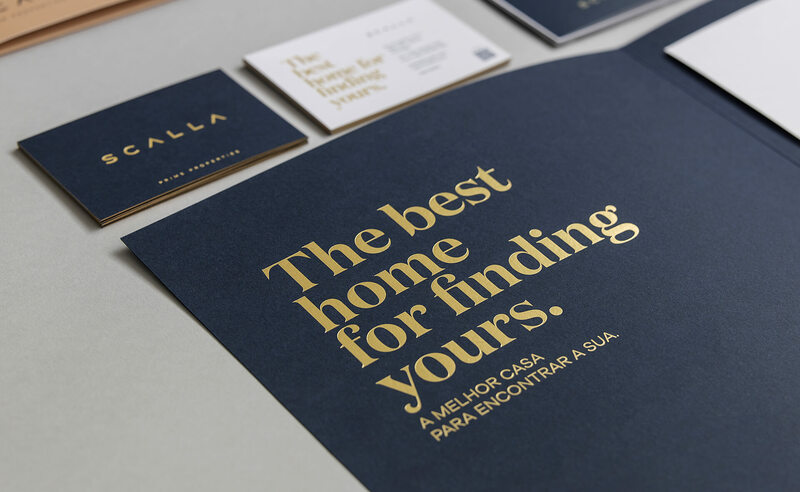 Following the identity, the voice, tone, and imagery have changed consistently with this new premium positioning and commercial approach. 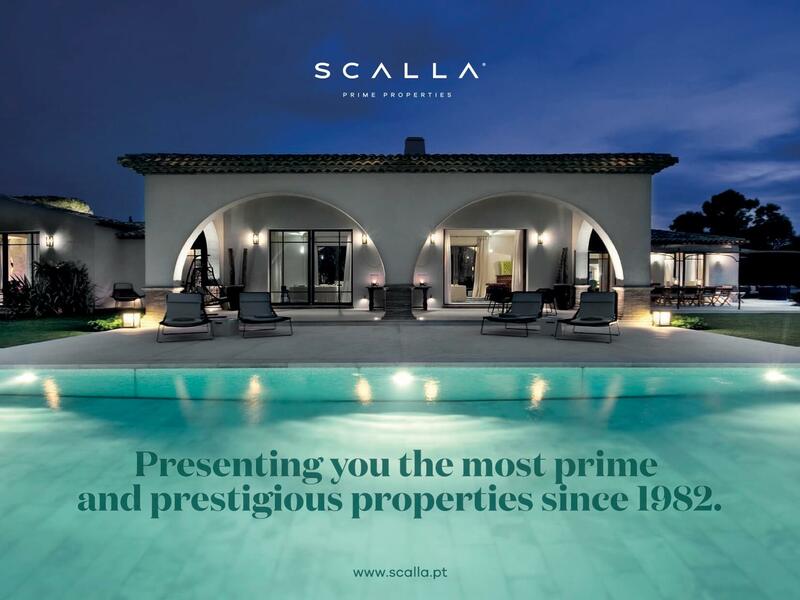 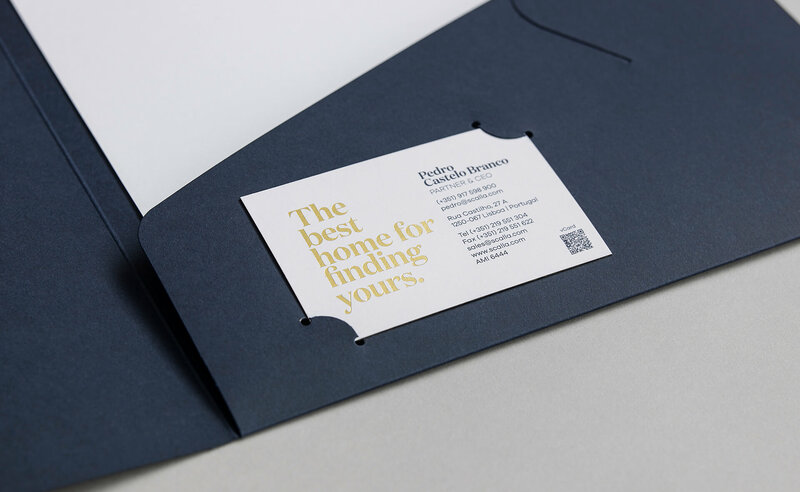 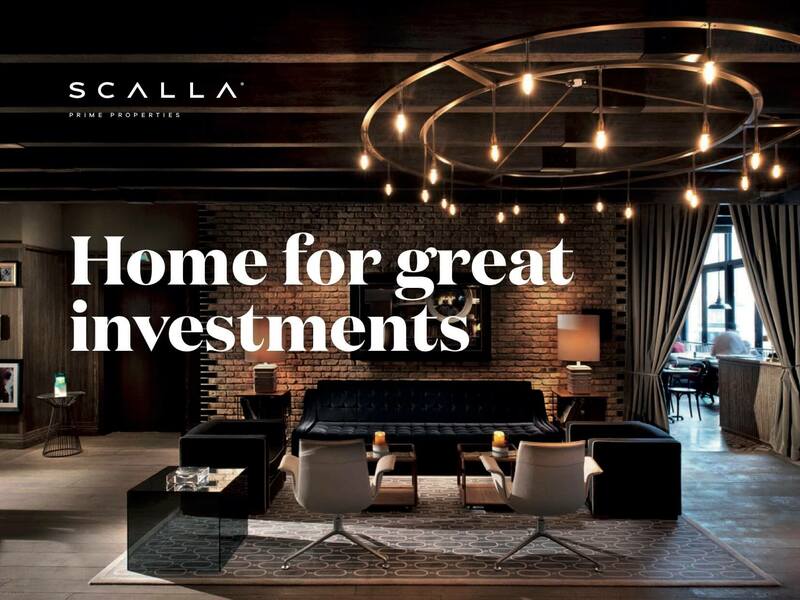 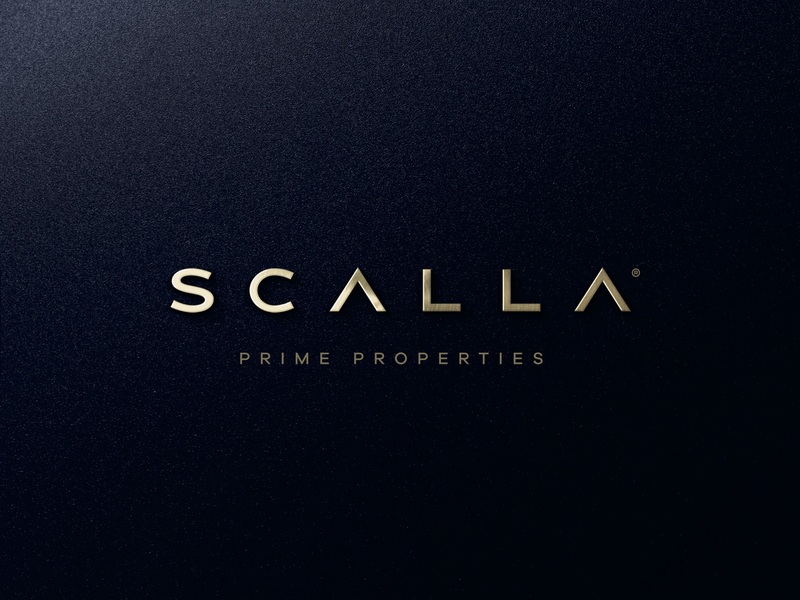 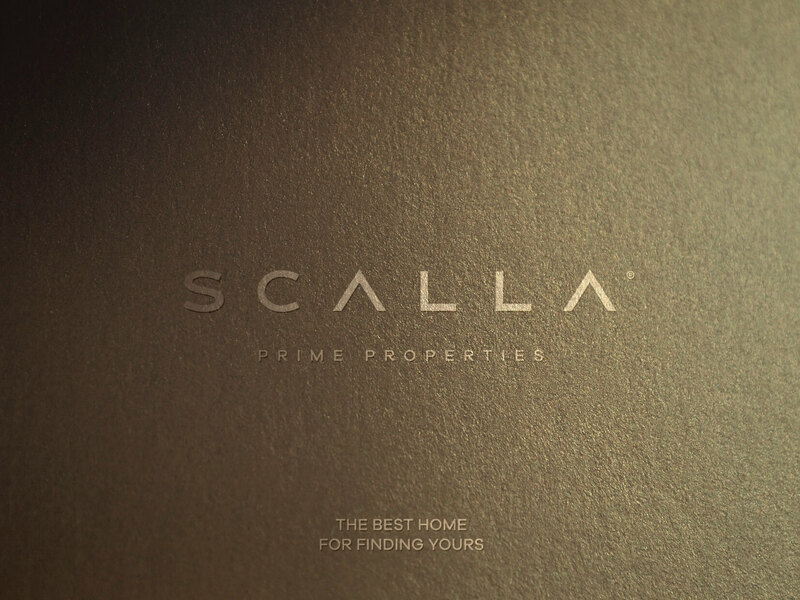 “The Perfect home for finding yours” is the new brand signature and a clear example of the prestigious narrative Scalla is willing to adopt in its new approach to this new and unexplored premium segment. 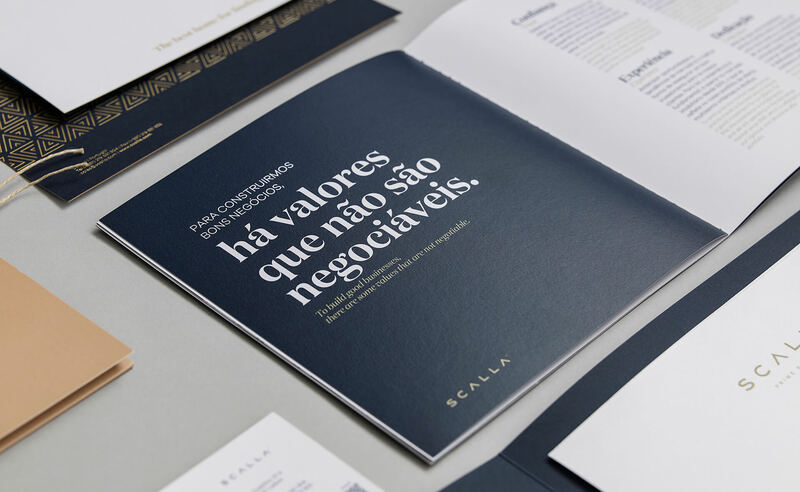 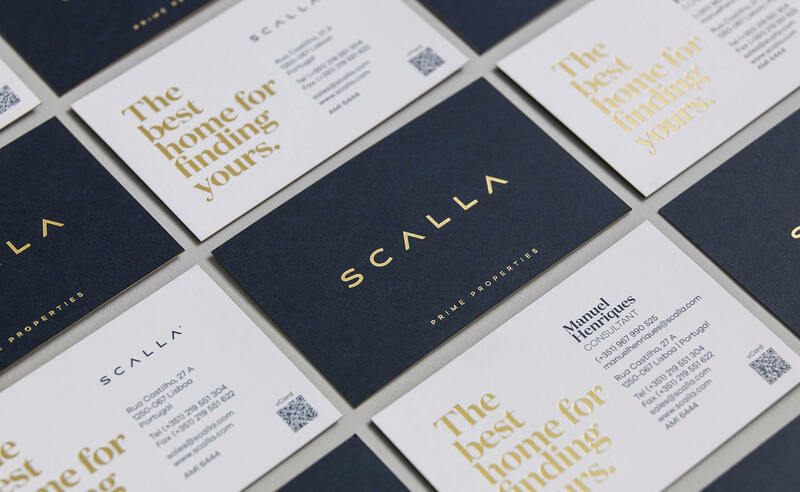 Elegant, original and classy, the newly crafted copywriting plays a great role in Scalla’s repositioning, setting a new brand tone perfectly in sync with its new audience. 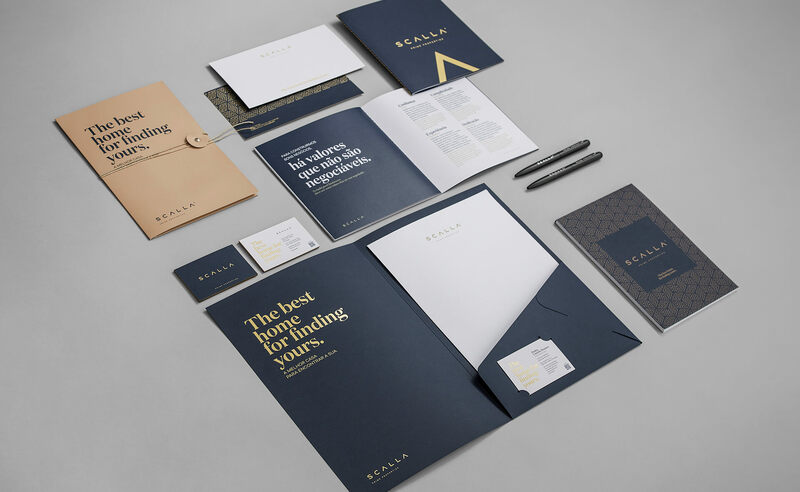 This wasn’t just an identity revamp but rather a profound corporate change that extended its reach to sales. 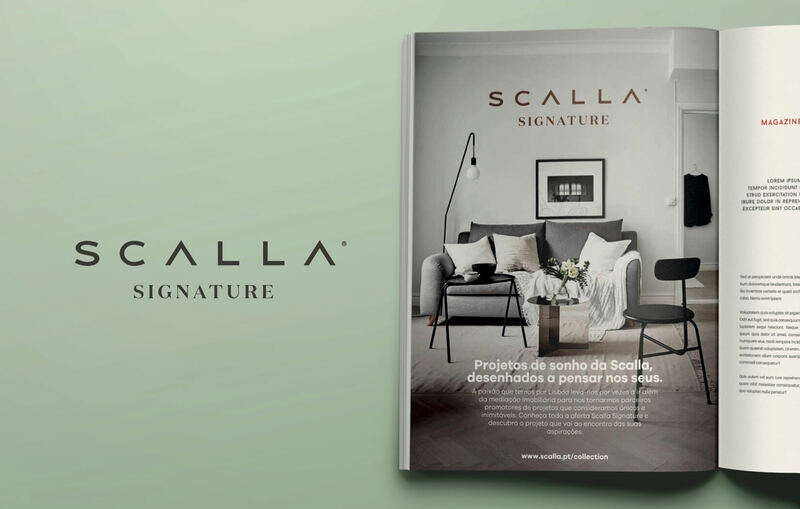 The portfolio segmentation was crucial to reinforce Scalla’s new offer and commercial range, which can be divided into three new product branches. 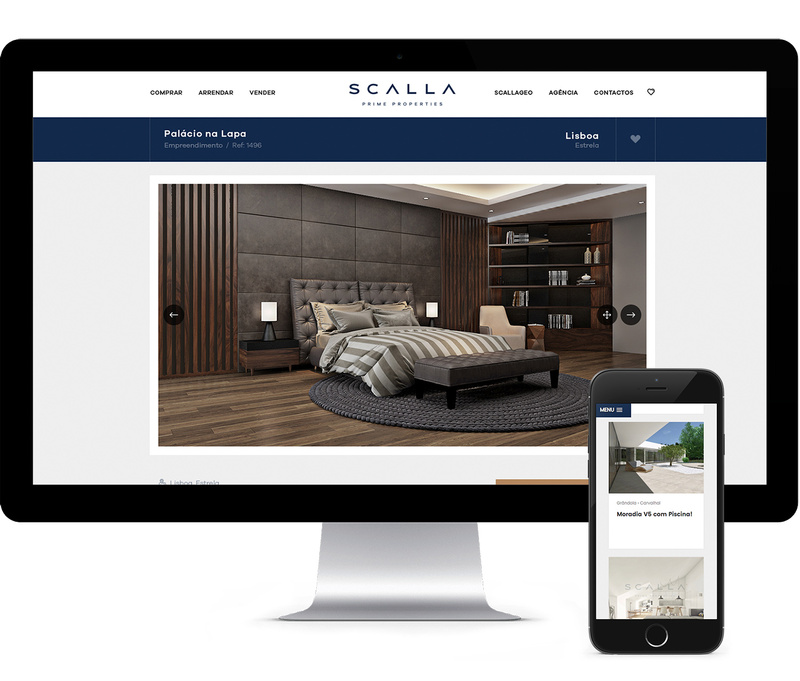 More than a digital corporate brochure, Scalla’s new website is the core center of its business as its products are presented in it. 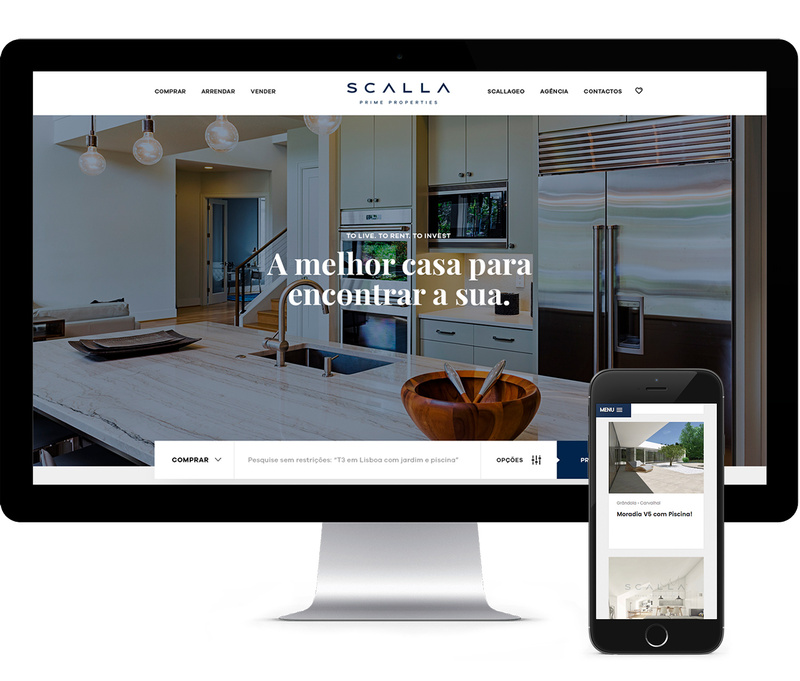 With this in mind, we designed a modern, clean website with an intuitive interface to provide an easy and seamless navigation.